It is always irritating when something pops-up continuously when you are browsing. 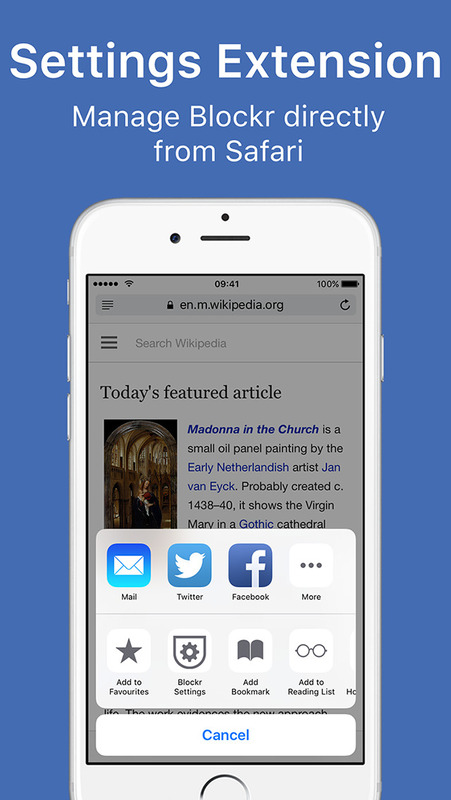 The latest iOS 9 is loaded with something known as Content Blockers which can be seen in Safari Browser settings. This special feature permits the user to enhance an Ad Blocker which will ultimately prevent the websites from showing irritating advertisements during your browsing. This will help you in saving your data as well as help you to maintain your privacy also. It is quite often that these ads pops-up regularly and disturbs you while browsing. So it is inevitable to have an ad blocker in your kitty to have a nice browsing experience.As we all know that websites remain live because of these ads. But when you activate content blockers in your browser, you cannot totally get rid from the torture of ads. This functions to its full extent only when you install an ad blocker along with content blocker. Ad blocker is available in the App Store. Since the iOS 9, many of these ad blockers have elevated themselves to the list of top paid applications. So technically it became confusing for the users to select the most apt one from the list. So with this article I would like to help you to select the most apt one for your device. After you have selected the most appropriate ad blocker, the first and foremost thing that you have to do is to enable Content Blocker in your iOS device. Then only the ad blocker will function efficiently in your browser. You don’t have to worry about this, since it involves only a couple of steps. First you have to access Settings >>Safari>>Content Blockers. Now you have to enable the ad blocker application that you have already downloaded to your device. 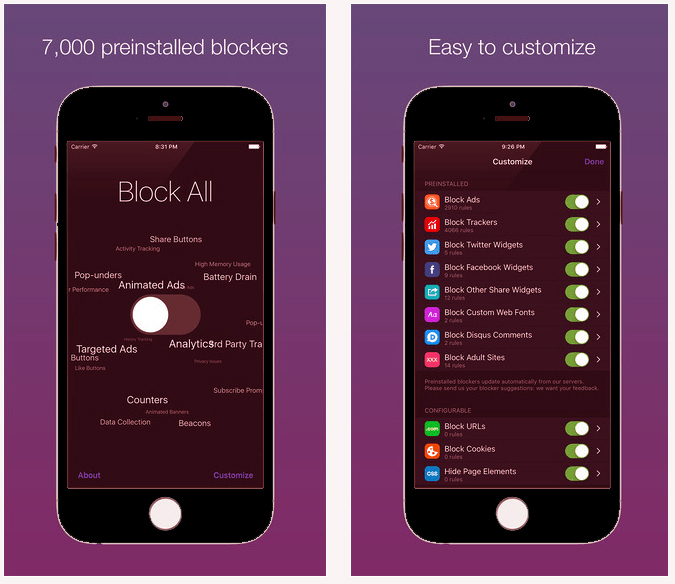 Now let us have look on the best ad blocking applications available for iOS devices and also compatible with iOS 9. It is one of the top best ad blocking application available in App Store. Another important thing is that it is available at free of cost. With the help of this application users are allowed to stop irritating applications from displaying continuously. Another peculiar feature with 1Blocker is that it is pre-loaded with 7000 pre-installed blockers which in turn help you to design customized blockers by the users. With the help of this particular application you are allowed to block social widgets, adult sites, share buttons and so on.They also help in reducing loading time for each page and also help in cutting down data usage to atleast half than the usual. Thus it saves your battery life as well as your data usage pack. But the only problem with this application is that, if you would like to use the application in its full-fledged form, then you are required to pay a sum of $2.99. The basic application provides only limited facilities like stopping ads from just displaying. Another disadvantage with 1Blocker is that it doesn’t allow you to whitelist a particular website. 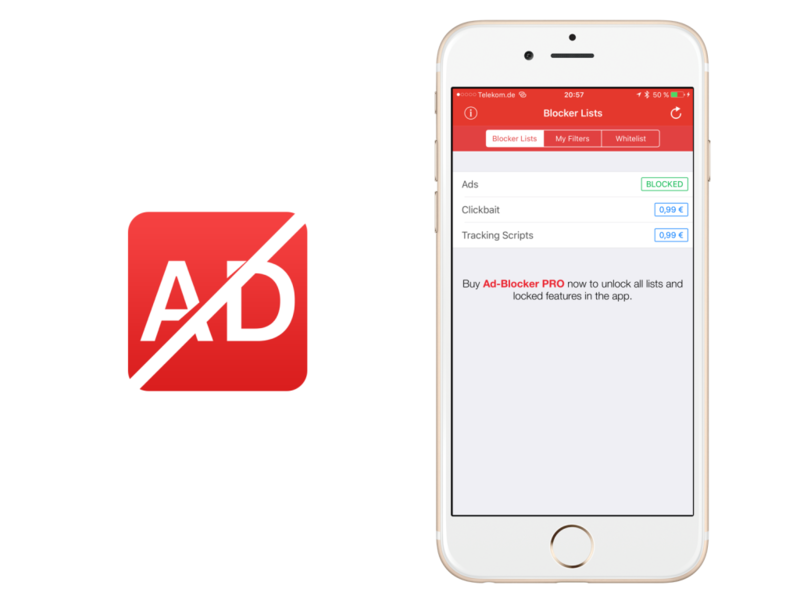 It is one of the superior ad blocking application available in App Store. It is not available at free of cost. If you would like to have this application in your device, then you must pay a sum of $3.99. This application suits those people who don’t want to alter any of the features. The main feature available with the application is the total privacy which means the application will never come in your way of traffic. It also consumes less data both on cellular connectivity as well as on WiFi. The application doubles your browsing speed than usual and also helps in providing a better view of the web page by trashing the junks.Unlike 1Blocker, Purify doesn’t come with pre-loaded list of ad blockers. But it is designed in such a way that user is relieved from viewing irritating advertisements from popping-up. Another feature available with Purify is that you can customize certain websites to display ads by enlisting them on whitelist. All you have to do is to tap on Whitelist Button inorder to allow those websites to display ads. Blockr is one of the cheapest available ad blockers in App Store. It can be downloaded from the store by paying a sum of just $0.99. But don’t underestimate its abilities. This particular application is loaded with certain powerful features. Its outstanding feature is that it functions both as a privacy protector as well as a media blocker. For instance if you find a web page is irritating you with continuous ads, you can block it instantly. Also if you feel that certain additional features cut down your browsing speed, you can block that too.The features available with Blockr are that, it prevents ads, certain images, social widgets and cookie warnings that pop up in Safari. They also ensure protection for your privacy by blocking certain tracing techniques that are present on the internet. They also maintain whitelist which contains list of websites for which you want to disable ad blocker application. It also provides an extension of itself in the Settings Menu to perform the task very easily and instantaneously. Just like the above ad blockers they also help in saving the data pack and also loads certain web pages faster than usual. This loaded with features which help in blocking cookies and thus protect your private data from publishing to third parties. I am not claiming that these are the best. But these are the better available ad blocking applications in App Store when certain features are concerned. If you happen to know about any other better applications please let us also know about that, so that we will be able to inform other users also.